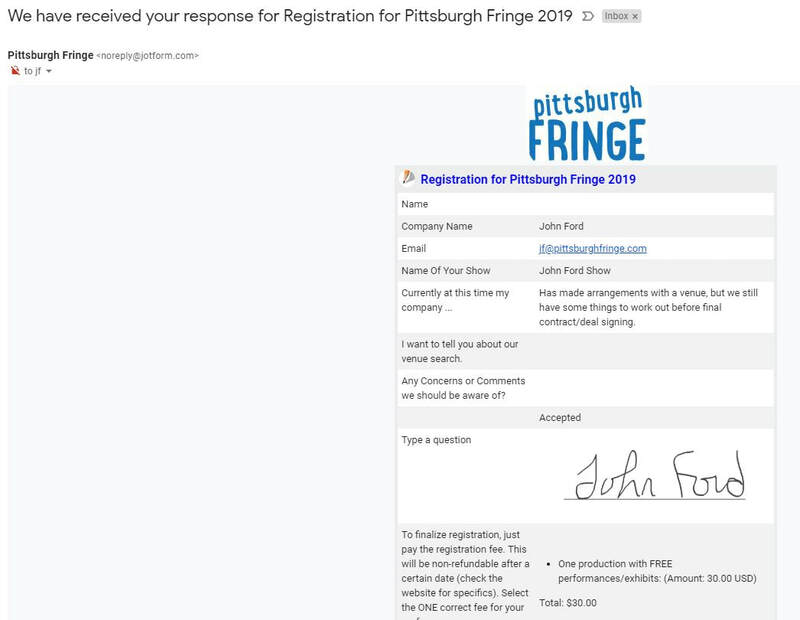 Step Three: Register with the Fringe! 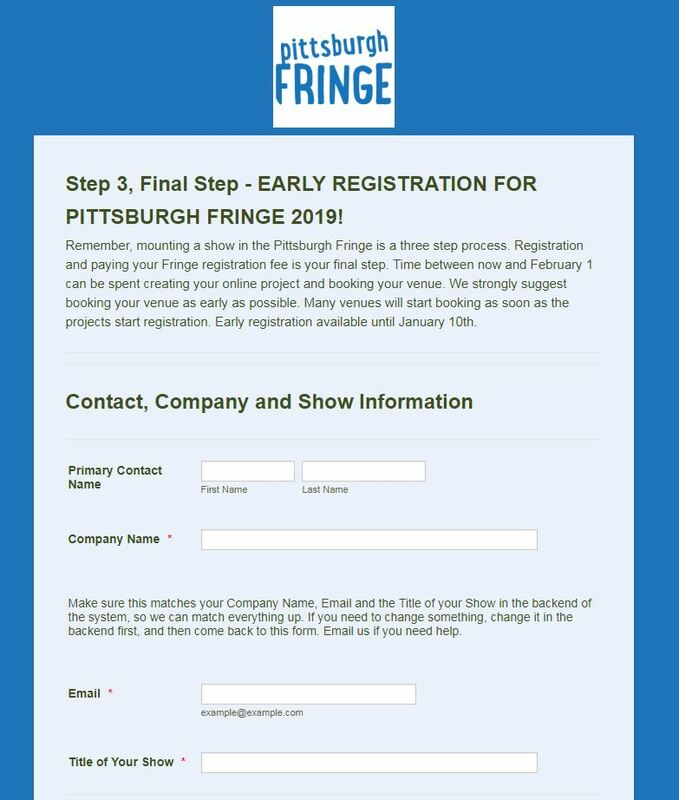 This page will help you understand every part of Step Three: Register with the Fringe! Before you start Step Three of the process, look at this page. We will try to tell and show you what takes place in this step. Save money by registering early. 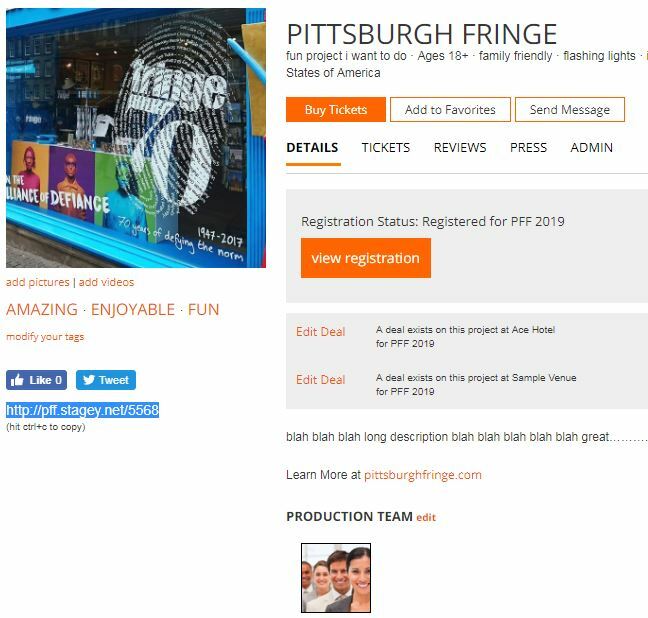 Teen and College Fringe productions are 50% discounted. 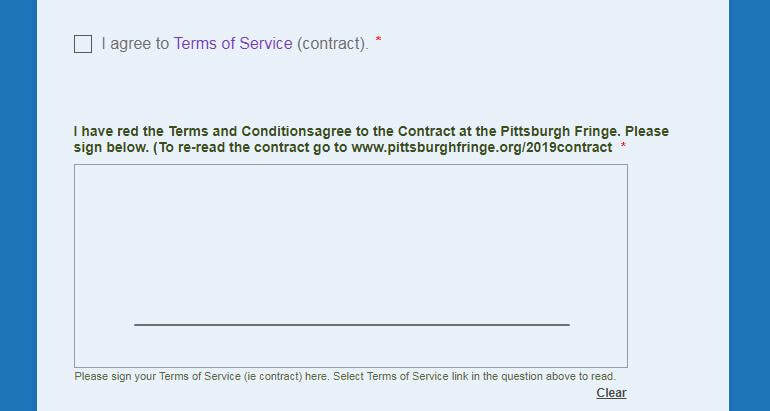 Please note that the fee is per production and “not” per performance or exhibition. One registration fee equals one listing in the guide and one listing online. Can’t quite get it all sorted out early? That’s OK, you can still make the Fringe Program if you register by February 1. 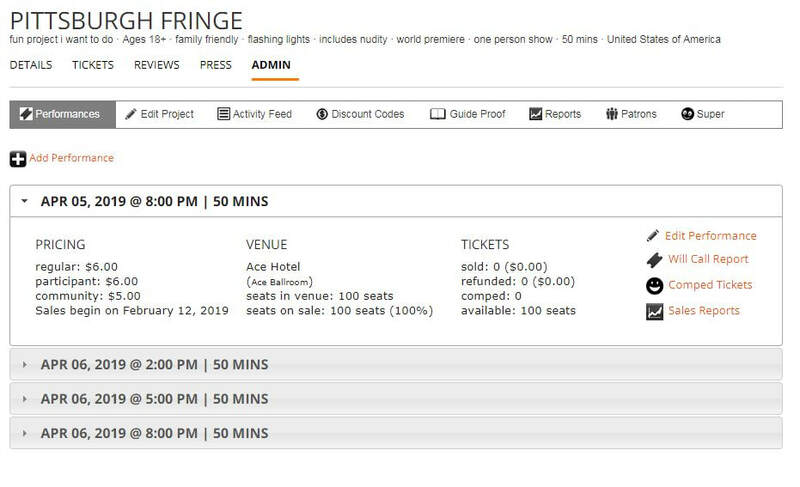 In fact, you can actually register after February 1, but you won’t be in the printed program (that will make it very hard for your show from a marketing perspective, so we don’t suggest it - but in theory you can). And while you still can register after February 1, you will not receive a discount despite not being in the printed program. However, you will be listed online, and all the other benefits of registration. When you pay your registration you secure your spot as a festival participant. If you have left after Step One, you'll need to Log In. After you've applied and made a deal with a venue, OR even if you want to hit the early registration, and you're still looking for a venue, you are welcome to register. 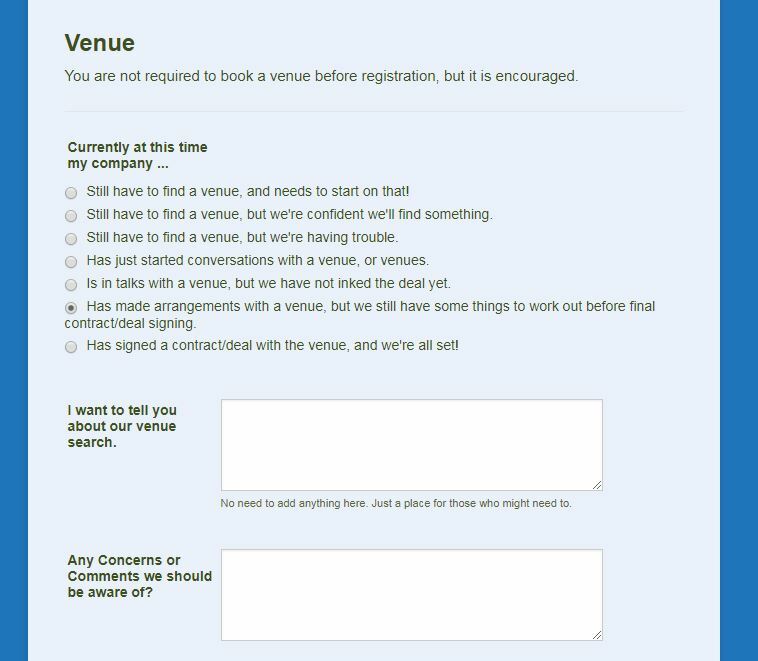 Just make sure if you don't think you'll end up find a venue by the refund deadline, you ask for a refund of your registration prior to the deadline. Go to the top navigation and select "STEP 3: PAY REGISTRATION FEE"
Final Registration of Project with Fringe is Short! The above sample is the early registration prices. These will go up after January 10th. So register quickly! If you are unsure of what you should be paying, please let us know. If you get it wrong, you will have to pay the full amount to be in the Fringe Program. Just like the initial application this form and paypal will talk to each other, and it won't be considered complete until you pay. 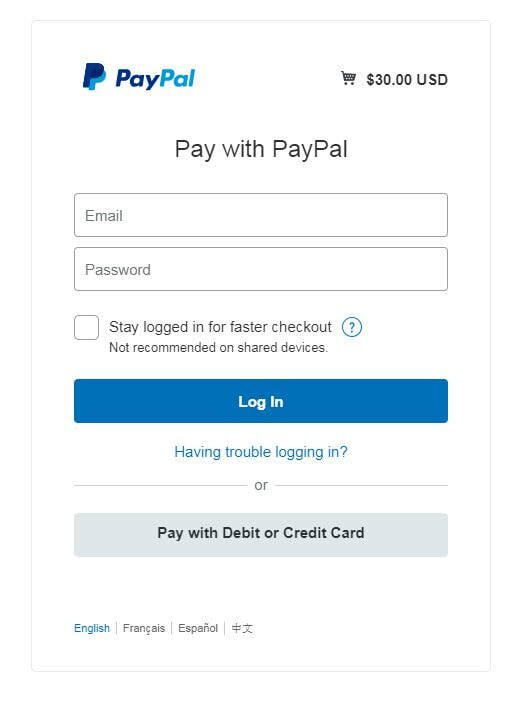 The submit button will take you to paypal to pay by credit card (again you don't have to be part of paypal to use this site - select just pay by credit card). 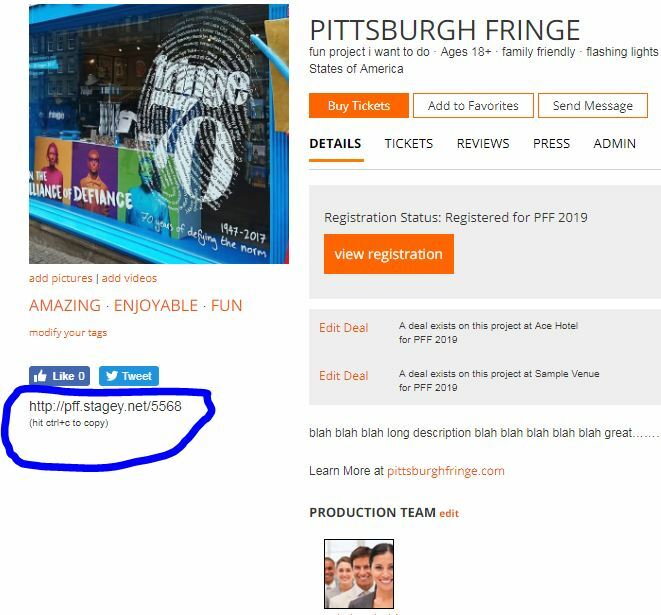 You should then get an email receipt from paypal, and a confirmation email of registration from Pittsburgh Fringe. When you filled out the long part of the application, you should go back there regularly and make sure your marketing material is up to date. 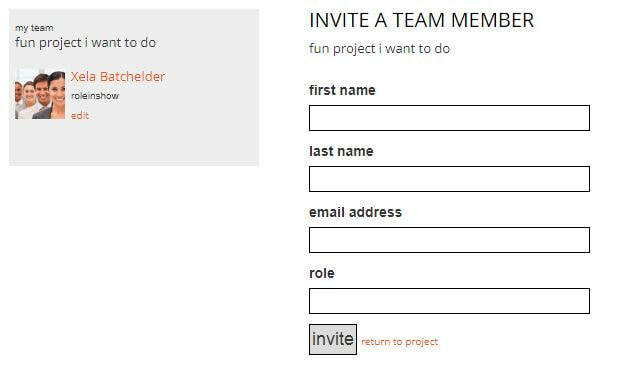 Below is a screenshot of a sample Project Page. This is your project base leading up to, and during the festival. Notice you'll be able to check on Tickets, Reviews, Press, and do all the Admin for your show right here! 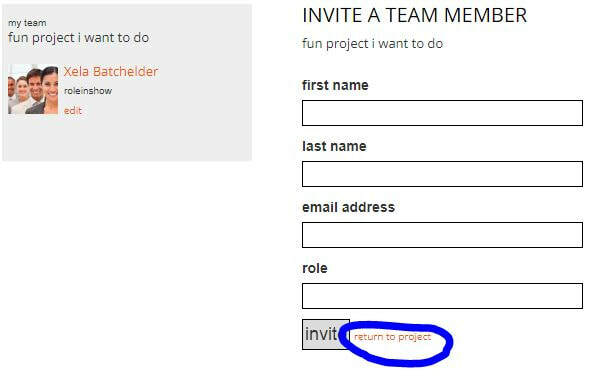 This is the URL for sharing your project with others! So once you are under your Production Team, just invite a new Team Member! You have now completely finished Step Three! If you want to know what else you can do, we will be adding more screenshot "lessons" soon!